Before crossing the border from Croatia into Bosnia on our 10 Weeks in Europe 2015, we stopped for supplies in Metković. We’d driven our rental vehicle south from Split along the Croatian coastline to Ploče where we left the coast and headed toward Metković. It was an surprising landscape of water, land, crops and more water, which I later discovered to be the delta of the 230 km long Neretva River, which rises in Bosnia but flows through Croatia on it’s final 22km run into the Adriatic. We followed the river on the E73 until it arrived in Mostar some 45 km later. There were ten cars in front of us at the border and no hold ups. Our vehicle from Last Minute Rentals in Split, came with green card (insurance) at no extra charge for BiH and we were relieved that there were no problems. 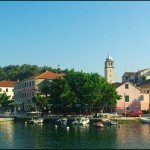 Some car rental companies try to charge extra for green card insurance for Bosnia-Herzegovina and Montenegro but it is included on the Croatian green card. 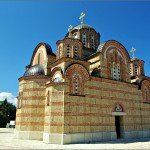 Here are some links if you are interested in reading more on the matter Croatia Traveller and Chasing the Donkey. 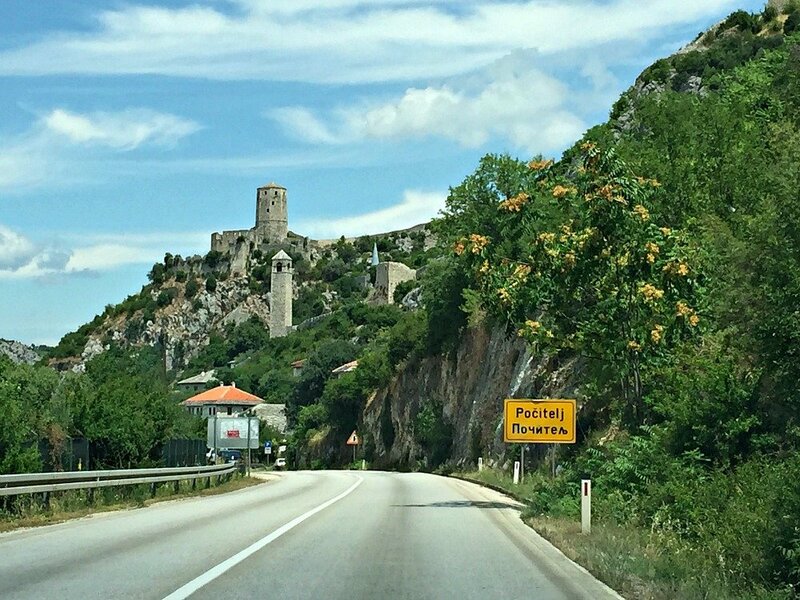 Twenty minutes later we passed Citadel Počitelj built by King Tvrtko I of Bosnia in 1383, without stopping. We were starving and our picnic supplies were calling – all we needed was the venue. Then just before the Buna River joined the Neretva we saw a rusty bridge, turned left and parked for lunch. The river bed was a mix of green bushes, dry rubble and rocks but in the middle was a surprise. This was kaarst country, the same rock that was at Rastoke in Croatia. 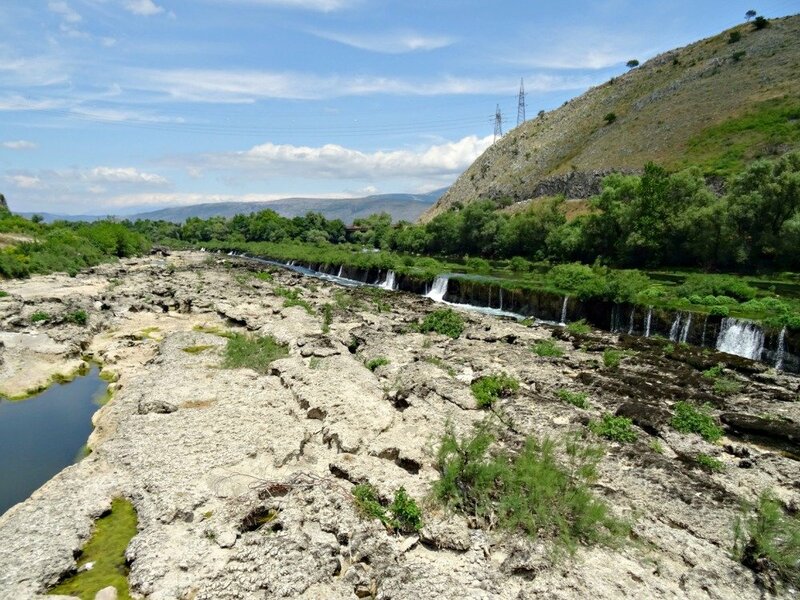 Our surprise find was the base rock of the Buna was higher than the flow of the Neretva creating a long low line of waterfalls. The Neretva River as it flows beneath the Stari Most in Mostar. The Stari Most was commissioned by Suleiman the Magnificent in 1557 (see the Suleymanihye Mosque Istanbul) and stood for 427 years before being destroyed in the war of 1993. The rebuilt bridge was opened in 2004 and is an extremely popular tourist attraction. 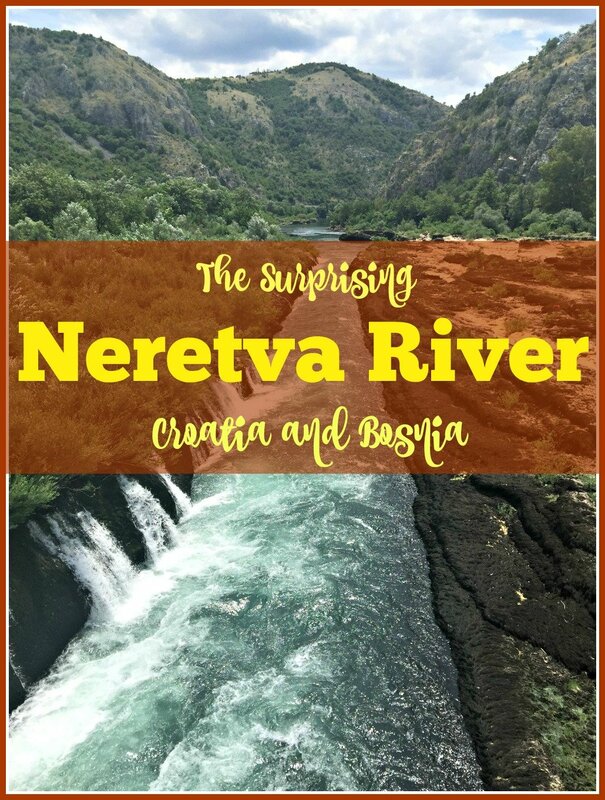 Following the Neretva River was so surprising and more time could be spent in the area. 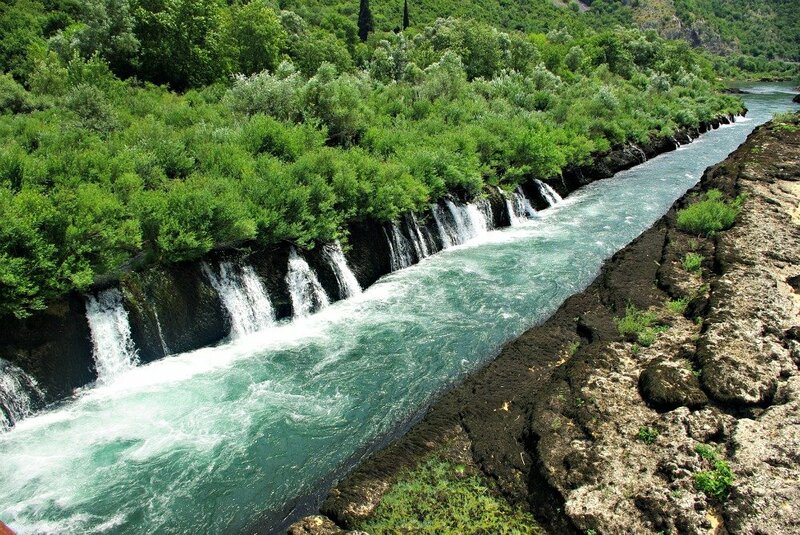 From Mostar there are Waterfall Tours and rafting tours. I am cohost for Nancie’s Travel Photo Thursday and you can add your post too in the link below. How cool, with all those waterfalls…. Hi Jan. Croatia is such a beautiful country. I understand why it’s becoming such a popular destination. I love your shot of the Stari Most. 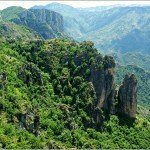 What beautiful photos of a beautiful country! I would love to visit Bosnia one day. What a beautiful drive. 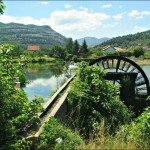 We toured Croatia by boat and public transport but I’d love to self-drive in Bosnia, and your posts make me realise how possible it is. 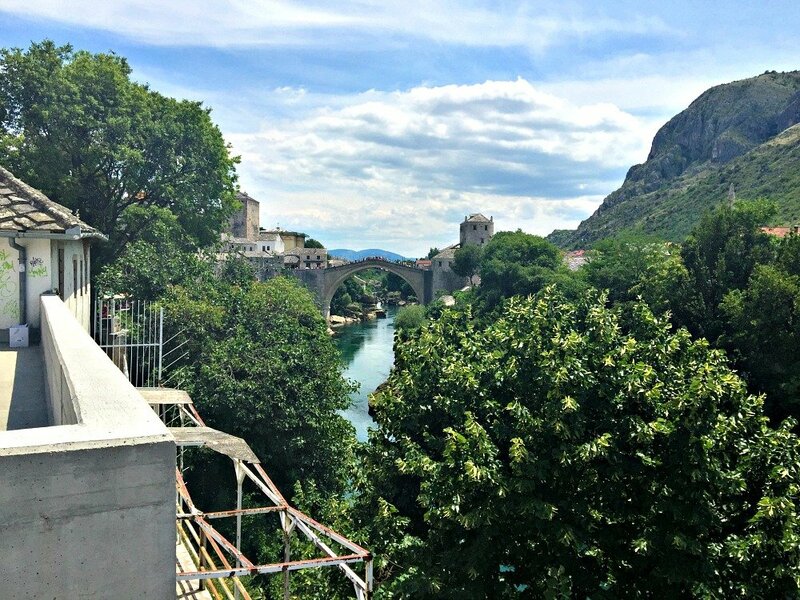 The Stari Most in Mostar looks so photogenic and what a beautiful spot you stopped for a picnic. How about a post on what picnic foods to buy? Thanks for suggesting the Post idea Jo. 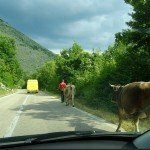 Bosnia was easy to drive in and the country varied enormously. It’s amazing that something that unusual wasn’t at least signposted for tourists! 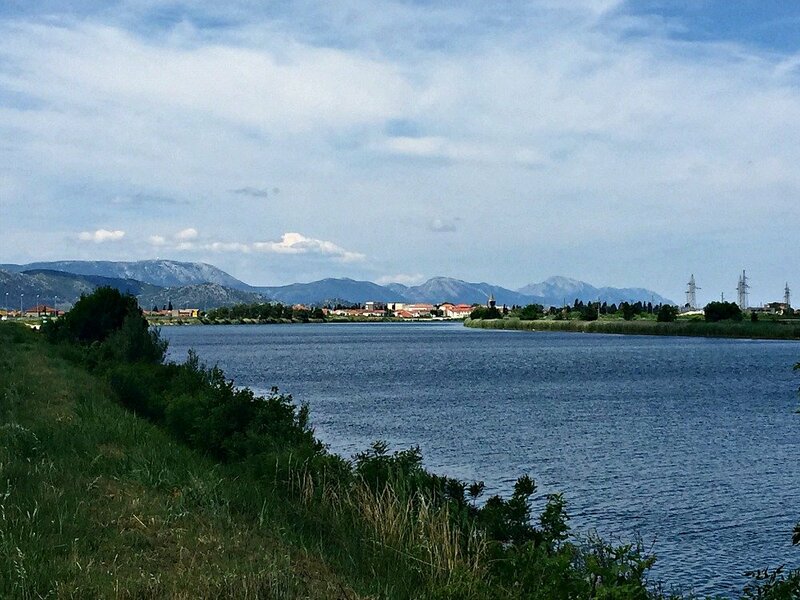 And how fortunate that you happened to turn off just at this part of the Neretva! I know Rachel and I have scoured the internet looking for a reference to it but didn’t find a thing! Oh, I do like that line of waterfalls. What a nice surprise on an already scenic drive. I could not believe we found them Michele. There was no description at all! It is so sad and nobody understands the war except those that were in it. The only thing to do I guess is to move on – like the river. 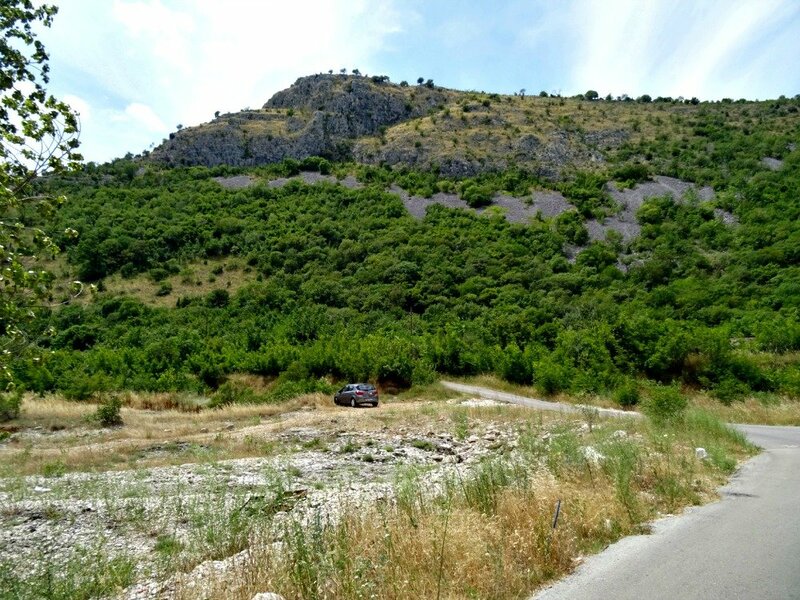 I wish we had known about this gorgeous little spot when we drove to Mostar…we drove right past it! 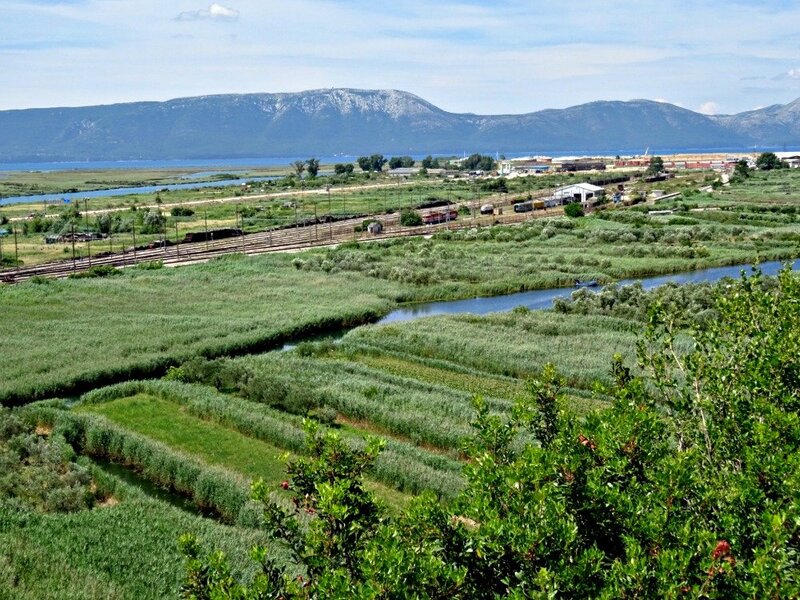 The Neretva Delta surprised me too…so green and fertile, a real bread basket for the area. It was such a freakish find Jenny – we had no idea it was there. My goodness Jan, such different countryside like I’ve never seen before. The river with the little side waterfalls is magical. You certainly toured through some amazing countries during your 10 week holiday. There will be more on Bosnia in the coming weeks Kathy. 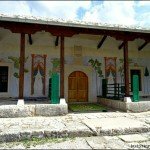 We spent one day in Bosnia but saw quite a lot. That was a surprise to find on your picnic! I love any type of moving water. The roads and scenery remind me of James Bond movies. I love James Bond Movies! Next time I’m watching one I’ll keep a look out for Bosnian like countryside! Love the different view of ‘that bridge.’ 🙂 This scenery is so much different to your last post and, like you said, what a surprise to fin the two different heights in the rivers. Never seen landscape like that before. We were so lucky to be looking for somewhere to pull over Julia, or we would never have found it. There was no indication at all on the riverside road. Those waterfalls along the river look amazing. I love to “travel” with you Jan – you always take us somewhere interesting. Happy travels and thank you so much for stopping by my blog this week and sharing your thoughts with me. Love your photographs and the way you share your experiences Jill. 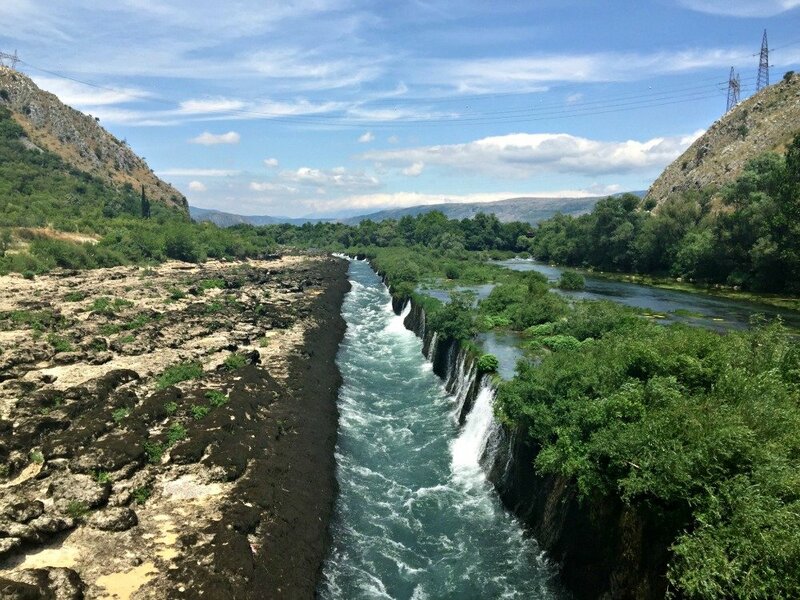 Our little journey through Bosnia was so interesting and I love sharing it! I love Mostar, and you water color is so pretty! Mostar was much smaller than I thought it would be. I wished I had time to stay longer and see what life was like there. oh wow never seen a Water fall like that! Love how there was so many little waterfalls all going into one river! Can you swim in it or is it too fast flowing? I didn’t see anyone swimming Lisa, but I think people probably would, maybe where the river is not so fast flowing though. I know they do rafting on it.